Common Sense Media’s service Graphite, which offers independent ratings and reviews of learning apps and websites, has compiled this list of apps designed to help students learn geography, world languages and cultural understanding. 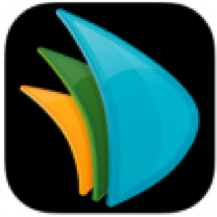 For complete reviews, and for each app’s "Learning Rating," visit the Graphite website. 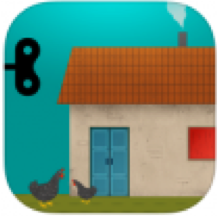 Homes by Tinybop takes kids on an interactive tour of homes around the world. Starting from a world map, kids choose the United States, Guatemala, Yemen or Mongolia. Then they see how these cultures live, eat, sleep and play through what they see in the homes. Interactive features seem almost endless: Kids can wash dishes, play with toys, sew clothes, prepare food and more. With these impressive interactive elements that engage and empower kids, Homes by Tinybop offers a delightful and accessible way for them to learn about the world's cultures. Read the full Graphite review. 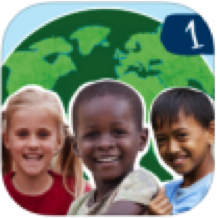 Globe Smart Education 1 explores the lives of kids around the world through stories and games. Once kids pick a country to explore, they choose from one of eight kids to learn about. They can read that child's story, engage in a mock dialogue, learn phrases in the kid's native language or read more facts about his or her hometown. The app includes great teacher materials such as discussion guides, lesson plan ideas and classroom activities that build on topics that arise in the stories. The app's high-quality images, interesting stories and interactive features make this a smart, thoughtful way to explore different cultures. Read the full Graphite review. Barefoot World Atlas takes the traditional paper atlas into the digital age by adding interactive elements that bring the world to life. Kids can spin or pinch a beautifully animated 3-D globe to find and zoom in on objects they want to learn about. They can get happily lost exploring more than 100 topics, including flags, animals, cultures, science, hobbies, landmarks, natural landscapes and zany facts. By browsing the world, kids glean a sense of national and regional identities as well as their own global context. With beautiful graphics, high-quality narration and fun facts, this reference app easily draws kids into learning about the world. Read the full Graphite review. StrataLogica allows kids to experience their geographic world by creating, viewing and interacting with custom maps and presentations. Kids can view and compare maps and geologic layers, label key events and locations and create collaborative projects and presentations. There also are great lesson plans, atlases and e-books for teachers. As kids do things such as determine the distance between two points, they begin to understand the world and make connections among important people, places and historical events. With this app, kids not only look at maps, they also get to visualize their meaning and show what they've learned as they virtually tour the globe. Read the full Graphite review. GeoWalk HD features two inviting interfaces to get kids exploring more than 500 places, animals, plants, people, and events. Depending on their learning style, kids can choose to spin an interactive globe covered with thumbnail images that become flash cards when tapped. Alternatively, flash cards can be viewed as one big group, and kids can scroll through the bite-size nuggets of information. The information is grouped in four categories: animals and plants, history, people, and inventions. Students can turn off categories to take a quiz and test how much they're retaining. 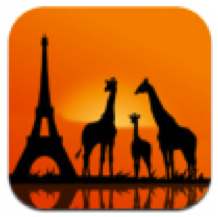 Loaded with fast facts and stunning images, this app makes exploring the world truly fun. Read the full Graphite review. 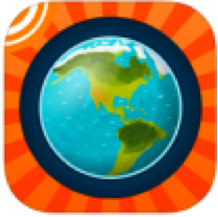 U.S. Geography by MindSnacks includes eight wide-ranging quiz games that test students on more than 1,000 questions related to U.S. geography and state trivia. To keep kids interested in the subject matter, games use fun hooks, such as a state-shape-eating frog or a dart for kids to mark where landmarks exist. As games progress in difficulty, kids are tested on state trivia. Post-quiz reports show what kids are retaining and which specific skills (such as visual recognition, geo-literacy, and cultural literacy) they have developed during gameplay. 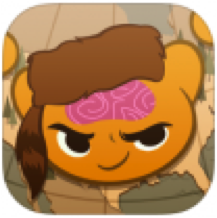 This fast-paced app will draw kids into fact memorization with its engaging games and distinctive visuals. Read the full Graphite review. 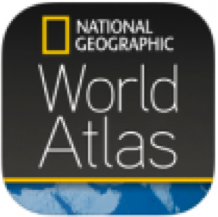 National Geographic World Atlas is a multifunctional reference app that also allows kids to pin special places and make their own maps. A spinning globe serves as the base. From there, kids can zoom in or use the search feature to locate a specific place. Then they can place pins on the map and color-code the pins by categories such as places they've visited, places they wish to visit or a customized description. They also can check out flags, get quick facts, measure distances and find the current weather for each country and territory. Whether kids are curious about a specific country or simply eager to explore, this app will put the world at their fingertips. Read the full Graphite review.